Leading Collectables expert Tracy Martin specialises in today’s current market but is also extremely knowledgeable about the collectables and antiques industry as a whole. 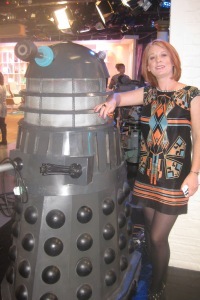 The Sale Room Manager of London’s Criterion Auction House, a TV presenter, author, auction valuer, cataloger, journalist and speaker, Tracy has many interests within the collectables arena. She is particularly fascinated by the progression of decorative arts, toys and women’s fashion. Rather different to the stereotypical grey suited antiques experts normally associated with this industry Tracy is trendy and fashion conscious. Her enthusiasm is infectious and she is passionate about encouraging across the generations to love antiques and collectables as much as she does. 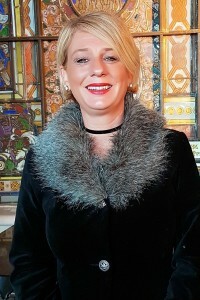 Quoted regularly in magazines such as Grazia Tracy is the person the industry turn to when they need a collectables expert. 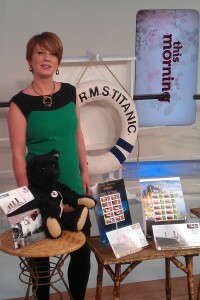 She has appeared on numerous television programmes including as an on-screen expert for BBC Flog it! She has also guested on The Paul O Grady Show, Chanel 4.s Sunday Brunch, The One Show, Market Kitchen, BBC Breakfast and has made many appearances on ITV’s This Morning. 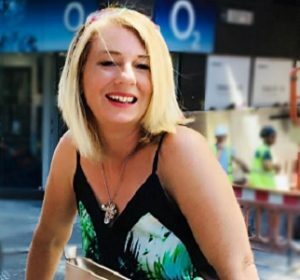 Tracy Martin’s vast knowledge extends to many antique and collectable subjects, including 20th Century interiors, ceramics, glass, toys, vintage fashion, shoes and handbags. Tracy knows instinctively what to buy now as a collectable of the future as well as identifying new trends, and advising on which of those 20th Century treasures are now highly prized. She has so much to say on 20th-21st century collectables and she delivers the information in a way that really hooks the viewer, listener and reader. She is highly respected in the antiques and collectables industry by fellow experts, auctioneers, dealers and collectors. She has appeared on numerous television programmes an on-screen expert for BBC Flog it! The Paul O Grady Show, Chanel 4.s Sunday Brunch, The One Show, Market Kitchen, BBC Breakfast and has been the resident Antiques and Collectables Expert on ITV’s This Morning for the past 18 months. Author of ‘The Greatest Collecting Tips in the World,’ and ‘Christmas Collectables’ (the first ever UK book dedicated to collecting Christmas memorabilia) Tracy’s most recent books are ‘Collectable Names in Women’s Fashion, Past and Present.’ and the latest book ‘The Little Black Dress’ which was released in September 2012. Tracy Martin is also in much demand as a passionate, enthusiastic and humorous speaker, and she loves nothing sharing her knowledge and experiences which include the astonishing items people find at car boots sales, items we should have kept but like most people have thrown away and the astonishing prices the most unlikely items can realise at auction. Another area Tracy is fascinated with is the social history behind collectables. She loves to know how they evolved, how they impacted on society and why now they are an important part of our everyday lives. Tracy lives in Essex with partner Paul and their son Harry. Thank you so much for coming to our annual Shelley Weekend Meeting at Peterborough as our guest after dinner speaker. In the past we have enjoyed a number of speakers who are personalities from the antiques world – auctioneers and TV antiques experts, all male. You brought a change of dimension and a fresh approach to antiques which were thoroughly enjoyed by our members. Your enthusiasm is infectious and your feminine slant and love of style and fashion found accord with our collectors, who revere the style and flair exhibited by many of the Shelley pieces, particularly from the Art Nouveau and Art Deco periods. You entertained and amused us with personal anecdotes from your literary and antiques expert career, also educating us a little along the way. What more could we ask of an after dinner speaker for a ceramics collecting society?Many thanks from us all. Eric Knowles, Antiques Roadshow Expert. This talk is concerned with all those items once considered as every day objects, that have been discarded and that now have a following with collectors. They are pieces that would adorn every home or at least most of them and are now considered highly collectable – so worth a few pounds. Tracy will awaken all those nostalgic memories of things you used to take for granted, which are now worth money and make you wish that you had held onto them. This is talk is about Tracy! How she contracted Collectavitus at an early age and has successfully turned her hobby into a career. A talk which discusses Tracy’s rise in the antiques and collectables industry it focuses on her television and radio work, as well as being author, journalist and life as a consultant in an auction house.